I’ve written before about how I’ve owned the iPhone since 2007. Yeah, I was one of those guys that got in early on the new phenomena that hit the mobile phone scene. But after nearly 4 years of the iPhone, I felt it was time to move on to something new. I have to be honest with you though, one of the main reasons I started thinking about switching to an Android phone was because on the iPhone, I started having problems with muting people while I was holding the phone with my shoulder. So the biggest problem to me became simply that the homescreen wouldn’t, or couldn’t lock while I was talking on it. And if I did get the screen to lock, as soon as I would move it the screen would unlock and then I would mute people again. 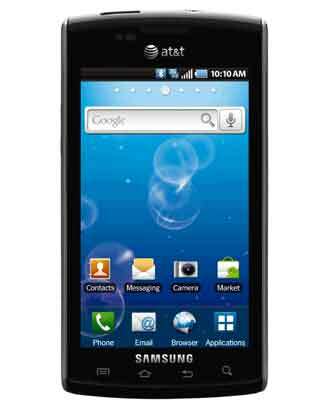 So I went into Sam’s Club today and picked myself up a Samsung Captivate. The screen is the same width as the iPhone but it’s about a half an inch longer, giving you even more screen width while playing games horizontally. Anyway, in Sam’s Club, I paid only $0.97 for the phone – out the door, including tax, the total was $1.03. Then the only thing I had to pay was the $18 upgrade fee that will be my next AT&T bill. Not bad – paying around $1 for a new Android smartphone. I’m pretty psyched to start learning everything I can about Android now! I’m also curious as to why it was only $.97…was that a special offer for switching? what sams club store did you find this in? ?